Zach Said, an artist who wears his heart on his sleeve, encompasses that character in the 90s teen flicks, discovering that nice guys sometimes finish last and that love is harder than it seems (but we all know he gets the girl in the end). The passion of Empire Records employee of the month and a sound and energy reminiscent of Anderson Paak, Zach Said is the under-rated guy next door, the adorable stoner underdog, and more importantly the kid who makes punchy, undeniable pop tunes. ‘Catch a Feeling’ is the first track to be taken from Zach’s new EP ‘Balance’ which comes out on Insanity Records in September. It sees Zach as a man on a mission to find balance between life, work and love in this often jampacked day-to-day. 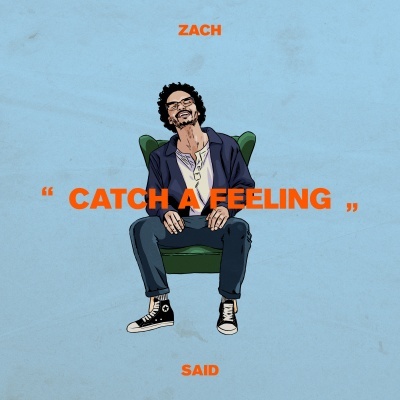 Channeling early Timberlake, ‘Balance’ see’s Zach step up his production, with huge hooks and massive choruses which demonstrate Zach’s pop credentials and making him one of the most exciting new alt-pop stars of the moment. BBC Introducing playlist on both BBC Radio 1 & 1Xtra..
6 months on ‘Sweet Soul Sunday’. Supported Anderson Paak, Bleachers, Kodaline, Sampa The Great, Hoodie Allen in 2017.